I am a pioneer in online activism. Am helping to rebuild our democracy. I am Vice Chair of the national board of NARAL: Pro Choice America Foundation. We know about the amazing young women like Alexandria Ocasio-Cortez and Sharice Davids, and Ayanna Pressley recently elected to Congress, but they are not the only young women who are running and winning. Younger women are currently (finally!) running for state and local offices in record numbers. They are not asking for permission or waiting for their kids to get older. If we’re lucky as a nation they will be fantastically successful and remake government and politics for a generation. We should do more to make this happen than hope for a lucky outcome. I often sit in rooms with fellow middle-aged women who bemoan the ways younger women dress, talk, and behave. I admit to shaking my head at various tattoos and ever-rising hemlines. We need to stop shaking our heads and start helping younger women. Why aren’t older women more nurturing of their younger sisters? Opportunities for advancement in both the public and private sectors were traditionally so limited for women fighting their way to the top that they felt that they couldn’t afford to be generous to other women. If there was one woman in the C-suite, it was unlikely that there was room for another. In response, many women held on too tight to what they had rather than try to make the pie bigger. It was a bad model for success and leadership then and now. Efforts to build women’s political power have historically ended at the ballot box. After the votes are counted, however, the hostility and obstacles increase. Electing younger women is just the beginning of restoring our democracy; now we have to help them succeed in these roles. That is why the Network of Elected Women creates local networks of elected women to share and learn and build political power together. But, even our efforts are not enough. Over the last two years, older women have been knocking on doors, making calls and telling everyone we know (including strangers on street corners) to vote. Mentoring younger elected women needs to be added to our checklists. In a relay race, the person handing the baton to the next runner is responsible for making it easy to grab. When it goes well, there is a brief a moment of transference when both runners are holding onto the baton together. That is the moment when older women can help younger women openly, wholeheartedly and generously. We need to share what we have learned about resilience, collaboration and the importance of building deep, strong relationships for overcoming resistance to social change. Younger women are free to choose to ignore our help, but we still need to offer it. We need to cross the tattoo line and celebrate the amazing gifts young women are bringing to the public arena. We need young women to help lead the way to a better world, where it matters less what you wear and how you speak, and more who and what you value. Our success is inextricably intertwined with theirs. We should be fearless and generous in our outreach; the future of our country depends on it. 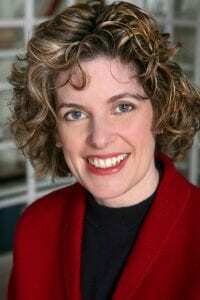 Editor’s Note: Allison Fine is the Founder and CEO of Network of Elected Women (NEW). 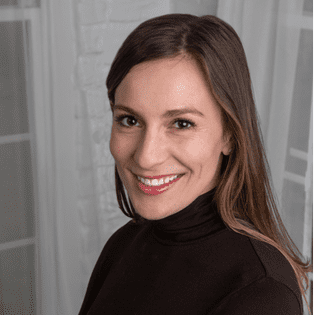 Alessandra Biaggi is running against incumbent, Jeff Klein, for the New York State legislature. In this election cycle, a record number of women are taking on powerful incumbents and systems that have stalled progressive policies in states across the country. Case in point: Alessandra Biaggi, who is running for New York State Senate in District 34 in Westchester and the Bronx. Biaggi is only thirty-two years old and is a former policy aide to Hillary Clinton. She is also a lawyer who served as counsel to Andrew Cuomo. And after last week’s enormous primary upset of 28-year old Alexandria Ocasio-Cortez over ten-term U.S. representative Joe Crowley, well, this moment is meeting Alessandra Biaggi. 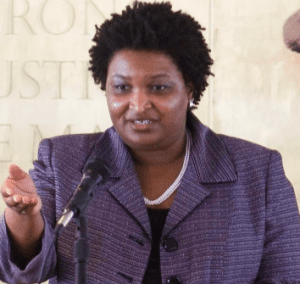 Courageously, she is taking on a sitting New York State Senator, Jeff Klein, who has led an obstructionist group called the Independent Democratic Conference, comprised of seven Democratic state senators who have caucused with the Republicans. Jeff Klein’s alliance with the Republicans has enabled the blockage of a slew of progressive legislation, including early voting and codifying reproductive health rights. Klein and the Independent Democratic Conference also blocked Andrea Stewart Cousins, a female state senator from Westchester and the Bronx, from becoming the majority leader of the Senate. Alessandra Biaggi is progressive and smart and tough and made for exactly this moment in time. We asked Biaggi a few questions to help you get to know her better. What is one thing most people don’t now about you? I’m left handed. If you could pass one law today, what would it be? The Reproductive Health Act, which would codify Roe v. Wade in NYS…no, it’s not codified; yes, my opponent is the reason. What or who helps you keep going through the criticism and attacks inherent in a political campaign? The mantra that nothing is life and death, but life and death. What’s the first line of your epitaph? They said it was not possible. Chocolate or wine? Chocolate. I stopped drinking alcohol after the 2016 election — for many reasons — one of which was that the waters we were about to charter, I believed, required a steady and clear mind to find the truth. To learn more about Alessandra, visit her campaign website here. Attica Scott, Democrat running for re-election in the Kentucky legislature. In 2010, Representative Scott graduated from the first class of Emerge Kentucky which prepares Democratic women to run for office. In 2016, Attica defeated a 34-year incumbent to become the first Black woman in nearly 20 years to serve in the Kentucky state legislature. Moreover, Attica is the only woman of color in the entire Kentucky legislature. 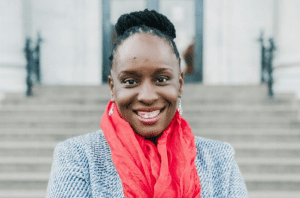 In 2017, Representative Scott was named to Essence Magazine’s list of #Woke100 women in the U.S. She is running for re-election to the state legislature this year. She is a rising star in Democracy party circles. We here at Philanthropy Women thought you’d like to get to know her a little bit better. Here are Attica’s answers to the questions we posted on our blog in May. Responding candidates should keep all answers to no more than 240 characters so that we can repost the answers on Twitter (leaving a few characters for links, etc). Question: What is one thing most people don’t know about you? Answer: I am named after Attica prison in upstate New York. Question: If you could pass one law today, what would it be? Answer: One law won’t save enough lives. Question: What or who helps you keep going through the criticism and attacks inherent in a political campaign? Answer: My faith, my family and my friends. Question: If you could have dinner with one famous woman (dead or alive) who would it be? Question: What’s the first line of your epitaph? Answer: She loved her children. If you are a female candidate for public office in the U.S. who would like to respond to our questions and gain exposure to our mailing list of over 800 professionals in progressive philanthropy, please send your answers to us via our Contact Page. Good News: Philanthropy Women is in the Top 40 Philanthropy Blogs! 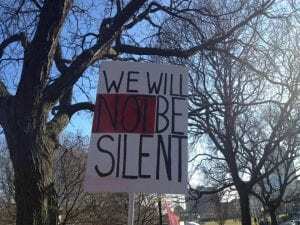 Progressive women have pledged to bring #powertothepolls, but not enough funders are putting resources toward organizations doing the groundwork for a more representative democracy. How would you turn a moment into a movement? That’s the question that organizations supporting women running for office have been asking themselves over the last year. It’s a hard question to answer in any field. Now imagine trying to answer it while being deluged by an unprecedented number of women ready to run for office. There are nine national organizations dedicated to training and supporting women running for office. These are long-established organizations like Ignite and Emerge America. 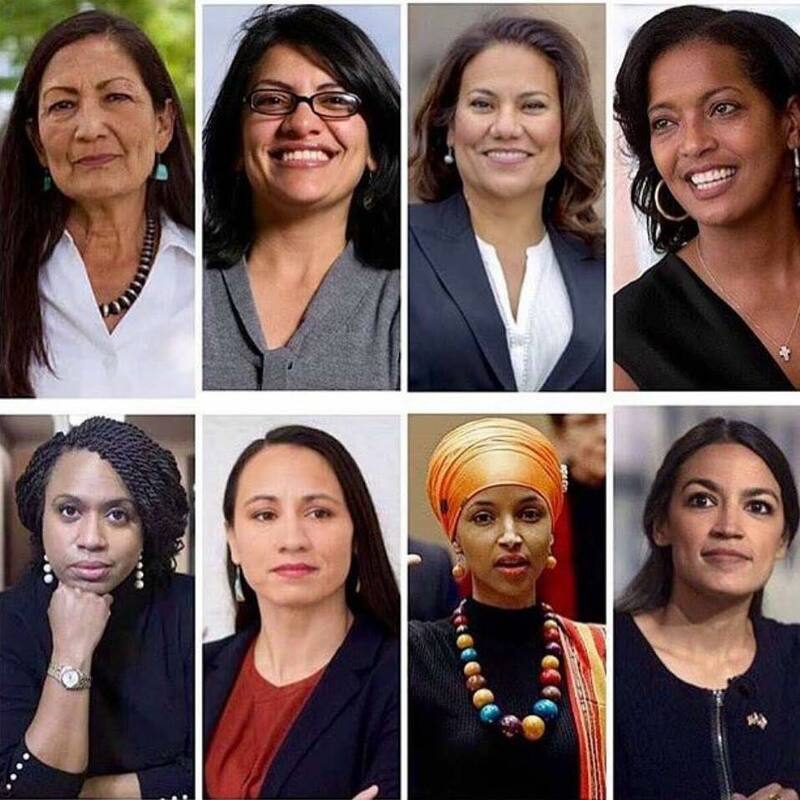 In addition, there are newer organizations dedicated to supporting women of color running for office such as Latinas Represent and Higher Heights. Regardless of when they were started or where they focus geographically or demographically, none of these organizations have experienced a moment like this – because, of course, the country has never experienced a moment like this. The spark for this moment wasn’t just the election, but the first women’s march on January 21, 2017, when millions of women were buoyed by the energy and determination of a sea of sisters around the country. While some were still mourning the loss of the 2016 election, younger women were ready to fight. They organized the marches and took out their checkbooks to support women candidates and the organizations that prepared them to run for office. The urgency of this moment also highlights how far we need to go. Catherine Pino and Ingrid Duran launched the PODER PAC in 2008 after overwhelming response by Latinas to Hillary’s first run for president. However, the largest minority group in the country is represented by only ten Latinas in Congress. Catherine and Ingrid were also energized by last year’s Women’s March and this year. As Catherine said, “None of us could believe what had just happened. We had to raise more money, identify good candidates, partner with other organizations and work with them to ensure that we get out the vote.” And they have done that in the last year by partnering Emily’s List to help identify and support candidates earlier. In addition, Latina celebrities like Eva Longoria have been using their voices to highlight the dearth of women of color in elected office and encourage others to give and run. There are two shadows hovering around the silver cloud of increased giving to these efforts. The first is that individual donors too often want to give anonymously. Anne Moses describes the drawback of this. “In the last six months, we’ve received five anonymous gifts of $25,000 and up. Three foundations gave us $50k for two to three years, but we don’t know who they are and can’t cultivate them.” In addition, these anonymous donors aren’t encouraging their own networks to give. The second challenge is that giving from institutional philanthropy has not yet risen to meet the moment. Local foundations like the New York Women’s Foundations provide support to Higher Heights. However, there are no national foundations making the support of women running for office a priority. Research, Research, and More Research. Investing in research on women in elected positions of power is critical to fully understanding how to make investments. We tend to focus on counting the number of women in federal elections, however city and county councils often have even less representation from women. Much more research is needed to assess the state of women’s representation at local levels and better understand the barriers to running and winning (see Ny’s experience above) and ways to support women to climb the ladder of elected office. The arc of history bends towards justice – but not without a fight, and not without funders fueling that fight. Making sure that women are equally represented in public office as decision-makers and influencers is a key part of ensuring that 2018 is the beginning of a movement and not the end of a moment. 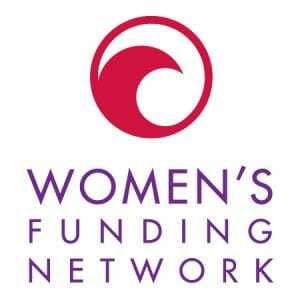 Countdown to the Women’s March, and Who Are the Funders? Even though many women are wealthier than ever, we have yet to connect the dots between money, influence and power. So, how do we shift to funding the Renaissance? First, we have to put our name on things. Frankly, no one really needs to have their name on a building; however, we do need to put our names on important issues and causes and campaigns. Pick a critically important issue for rebuilding our democracy, and there are plenty of them, say immigration or anti-gerrymandering or climate change, and then tell the world you are funding it at a significant level. Step out into the spotlight and say, “This is where my $10,000 is going.” Be proud of your contribution. Your pride will be contagious and other women will do the same. The second thing we need to do is to get comfortable asking for money. Even if you can’t write a big check, it is likely that there are people in your social networks who can. Now, don’t get into the habit of asking for money from everyone all the time because people will begin to cross the street to get away from you. But you need to get comfortable with the sentence, “Can you write a check for $10,000?” And that’s just for starters, eventually it has to be $100,000. Then $1,000,000 has to become part of your vocabulary. That’s what those seats around the board table are reserved for – not for the nice people or the smart people, women have always been those people, but for the people who can write, or get, million dollar checks. And finally, we have to create our own systems if we can’t get equitable access to existing ones. There are powerful women in Hollywood and even a few women in the C suite here and there, but they work within a system created by and maintained by men. We need women-owned studios and banks and venture capital firms. We have women’s foundations, but they are far too small to have a big impact. We need more women to contribute to these funds or pool their money as parts of giving circles in order to magnify the impact of their giving. The revitalization of our country will be led this time by founding mothers, but only when we embrace our own power and leverage our wealth and connections to create a more equitable society.